​On the weekends, I hit the Trinity trails in Lucas, Texas with my nine year-old, American Quarter horse, Bert. We have been going on the same trails for over 3 years now. The same dirt path lined by trees. The same two creeks with streaming water flowing through. The same hollowed tree log across the path. The same twists and turns, along the worn trail for the last 3 years. At first, Bert was constantly studying the trails for each new twist, turn, tree, creek, rock but after a while he became accustomed to these things and stopped expecting them – he stopped observing – he stopped studying. When he started to do this, I noticed that every little sound or noise would spook him more and it was because he was no longer paying attention. Bert thought he knew the path and didn’t need to be as aware and alert to what’s ahead. There were times that we would come to a fork in the road and instead of pushing forward he would try to turn around and head home. He knew that the path onward led further away and with that knowledge, he would fight my urging him to proceed. Bert became more accustomed to the trail and less willing to trust me to lead. 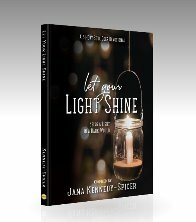 Do we do the same things with God? Do we stop letting God lead us because we think we know what already lies ahead? Do we become accustomed to our routines and less willing to trust Him to lead? When we think we already know the way, it is harder to trust someone to lead. It is more difficult to let Him lead when we are in front. We get in the way of God when He is gently leading us. We let our ideas and perceptions of what it should look like keep us from following His promptings to move forward. We no longer become flexible and pliable to His promptings. 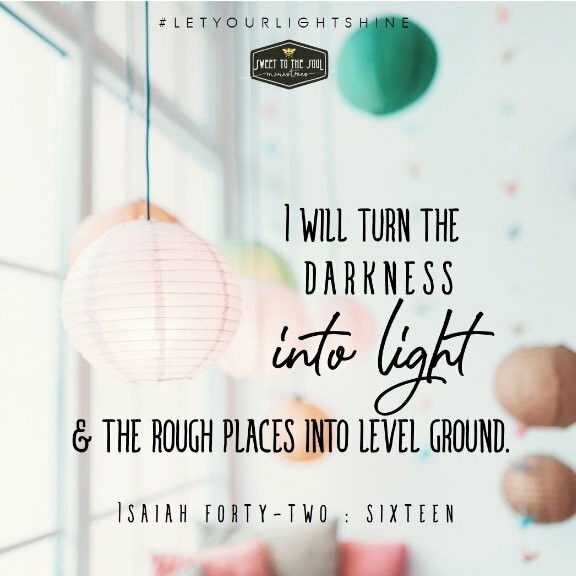 It says that He will turn “the rough places into level ground” but what if we are the rough places? We become the very thing that gets in the way of our future – we become the rough spot in the road. Maybe it would be to our benefit not to trust our own sight but to act as if we were blind in order to be led! Yes, that might sound crazy but hear me out. If we are blind, we are truly dependent on Him to lead us. “And I will lead the blind in a way that they do not know” is the promise from our Savior in Isaiah. If we anticipate each next turn, we are not allowing Christ to lead us. In John 14:6 (ESV) it reads “I am the way, and the truth, and the life. No one comes to the Father except through me.” He is the WAY! If He is the “Way” then I want Him to lead me in “the way”. The path onward is through Him – the Way. The path, the way, may be unfamiliar to us but it isn’t to Him. 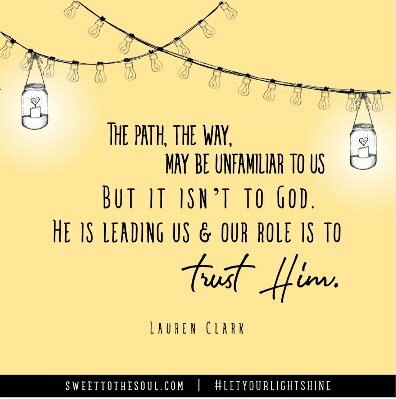 He is leading us and our role is to trust Him. This is not a do-nothing role. Trust is an active role. It takes action on our part to trust. We can’t be led if we are sitting and resistant. We must get up, trust and take His hand! followed His promptings and it brought them to the promise land. familiar but I would rather be on an unfamiliar path with God than a familiar path alone. We know that His ways are great than our ways and we reach out to take His hand today as He leads. Lord, today we reach out our hand to grab yours. Lead us Lord! May we no longer trust in our own sight but actively trust in Yours, as you lovingly guide us. In Jesus’ Name, Amen.